There is a lot of confusion surrounding DevOps. This article clarifies what DevOps is, what DevOps professionals do, and how DevOps professionals help businesses gain an edge over the competition. Since its inception in 2009, DevOps has revolutionized IT. 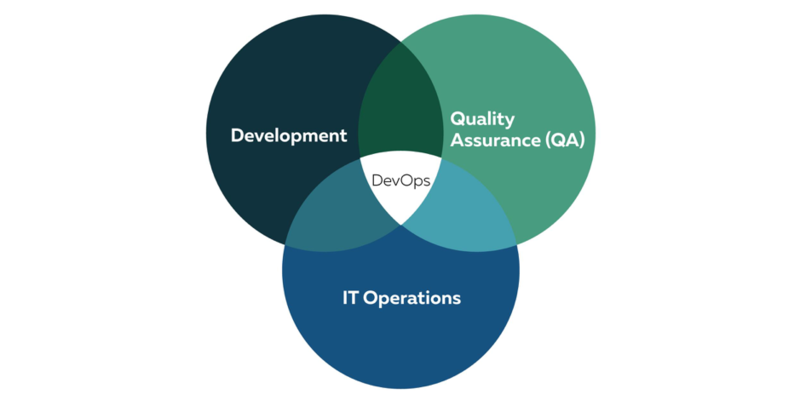 DevOps, short for development and operations, bridges the gap between three traditionally siloed departments: development (dev), quality assurance (QA), and operations (ops) departments. Instead, DevOps allows departments to rapidly develop and deliver high-quality applications to end-users. DevOps eliminates communication and collaboration challenges in the IT organization, benefiting customers and the company alike. Customers enjoy user-friendly apps that are regularly updated based on their feedback. Meanwhile, DevOps helps companies improve agility (i.e. the ability to rapidly respond to change), increase revenue, lower operational costs, and become more competitive. DevOps may be challenging to implement, though. And that’s why businesses need to hire trained professionals — DevOps engineers or DevOps consultants — to help them with their DevOps transition. You can use this article to learn how your business can benefit from DevOps, plus how to hire the partner you need to implement it in your company. DevOps is a software engineering practice and culture that aligns dev, QA, and ops teams to deliver innovation (i.e. apps and services) faster. DevOps also optimizes the flow of value from idea to end user. In the DevOps environment, any piece of software is run through the software delivery lifecycle continuously. The software delivery lifecycle includes planning, coding, building, testing, release, deployment, operation, and monitoring. The “continuous flow” of software is achieved through the use of tools, automation practices, and the implementation of continuous integration and continuous delivery pipelines. Popular tools include Puppet, Chef, Ansible, Jenkins, and Maven. DevOps establishes the environment where builds are created, tests are run, deploys are pushed, performance is monitored, and feedback is received continuously and automatically. Who Is a DevOps Professional? To establish such a complex environment, businesses need to hire DevOps professionals. A DevOps professional is someone who can oversee the entire software release and delivery lifecycle — from ideation and planning through development and testing to product release and feedback analysis. While DevOps professionals’ major tech-related responsibilities include giving continuous feedback on failed builds, automating build and release pipelines, and infrastructure management, there is also a cultural aspect to their job. DevOps professionals educate the team’s stakeholders about DevOps principles, values, and best practices. 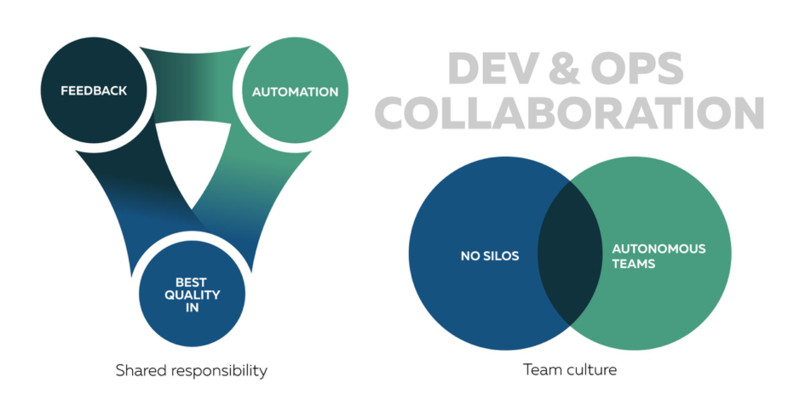 They instill DevOps culture and ensure that dev, QA, and ops departments are not siloed, but capable of collaborating flawlessly with each other. DevOps professionals enforce a culture of shared responsibility where all stakeholders — from business leadership to operations — are committed to delivering value to customers. Customers get access to the application. Customers leave feedback about its features and performance. The business measures and analyzes the feedback. Developers push the app to customers. All of that is done continuously under a DevOps professional’s supervision. Why Do Businesses Need DevOps? Agility in DevOps is all about rapid delivery of innovation and value to the market. Puppet’s State of DevOps Report states that DevOps-ready companies deploy code 46x faster, demonstrate 96x better failure recovery rate, and implement changes 440x faster than their competition with no DevOps on board. Due to automation, DevOps reduces the amount of redundant manual tasks, allowing employees to do more with less. According to “Accelerating Velocity and Customer Value with Agile and DevOps” by CA Technologies, DevOps increases employee productivity by 51% while reducing the total app development time by 26%. This translates to lower operational costs for the entire organization. DevOps is lucrative, too. Based on DevOps.com data, on average companies that use DevOps see a 20% increase in annual revenue. 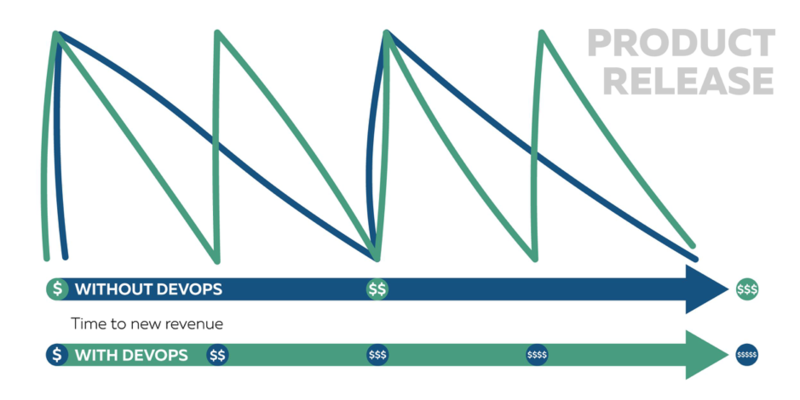 As shown in the image above, DevOps allows companies to release software more frequently, which translates into lower expenses, improved KPIs, long-term growth, and stability. DevOps can also help companies improve customer experience and satisfaction. On average, companies that adopt DevOps see a 45% improvement in customer satisfaction and a whopping 74% increase in customer experience, according to CA Technologies research. Better customer experience leads to greater customer loyalty, better customer retention, improved sales, and increased ROI. This reason alone should make DevOps a top priority for most businesses. Last but not least, DevOps makes businesses more competitive. This is pretty much self-explanatory – when you rapidly release higher-quality apps to the market, continuously collect and analyze feedback, and consistently act on that feedback to further improve the quality of your product, you can better compete with other companies in your space. Unfortunately, some companies still manage their IT organizations and IT services departments in the old way. They rely on static infrastructure and prefer most of their tasks done manually. This results in miscommunication, operational inefficiency, code errors, slower release times, and lower-quality software. Companies like that are slowly losing their advantages to competition and should focus on preparing both their people and technology. They need DevOps badly, to improve infrastructure, update configurations, automate and clean up existing processes, introduce new tools, and properly adjust configuration management and CI/CD pipelines. As of 2018, only 3% of companies lack DevOps or don’t plan to invest in it. 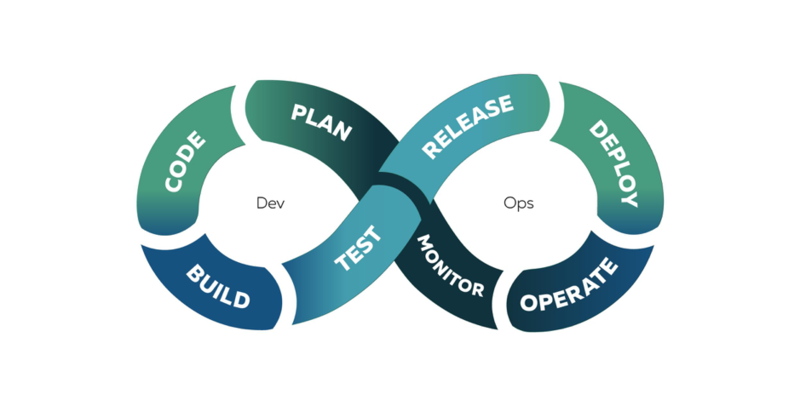 Your business still has a chance to jump on the DevOps bandwagon and enjoy its benefits — from more lean and smooth operations of dev, QA, and ops teams to better customer experience, shorter sales cycles, and increased profits. To achieve the state of DevOps, however, you should dig deeper into this software engineering practice and culture, and reach out to trained professionals — DevOps engineers and DevOps consultants — to make your DevOps transition a viable endeavor. DevOps pros will help you build more disciplined teams by instilling DevOps culture, set up tools and finetune processes to ensure automation, and enhance your company’s infrastructure. As a result of the DevOps transition, you will make your entire business more lean and agile by cutting on human error and eliminating overheads. The shift to DevOps will result in greater customer experience and customer satisfaction. It will push you into the area where your business is more competitive and earns more revenue. DevOps is an investment that brings long-lasting benefits. Consider hiring a DevOps pro to bring your company to the next level. Eugene has more than ten years of professional IT experience. He has developed many consumer & enterprise applications and delivered infrastructure and process improvement projects for various scale businesses. His vast experience allows him to grasp business needs quickly and enhance processes by using established DevOps tools backed by Agile’s practices. 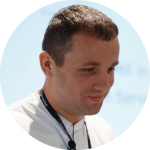 His areas of expertise include: software development lifecycle, version control, CI/CD, Atlassian JIRA, Service Desk, Confluence, Bitbucket, Slack, Flowdock, virtualization, and cloud platform automation.